Nose: lots of sticky fruit; plums and cherries in syrup. The smoke arrives shortly after. With water, the smoke dominates and is accompanied by salty fish, cumin and ham. Palate: very smoky, dominated by charcoal and BBQd meats. Adding water brings out smoked ham, cumin and pepper. 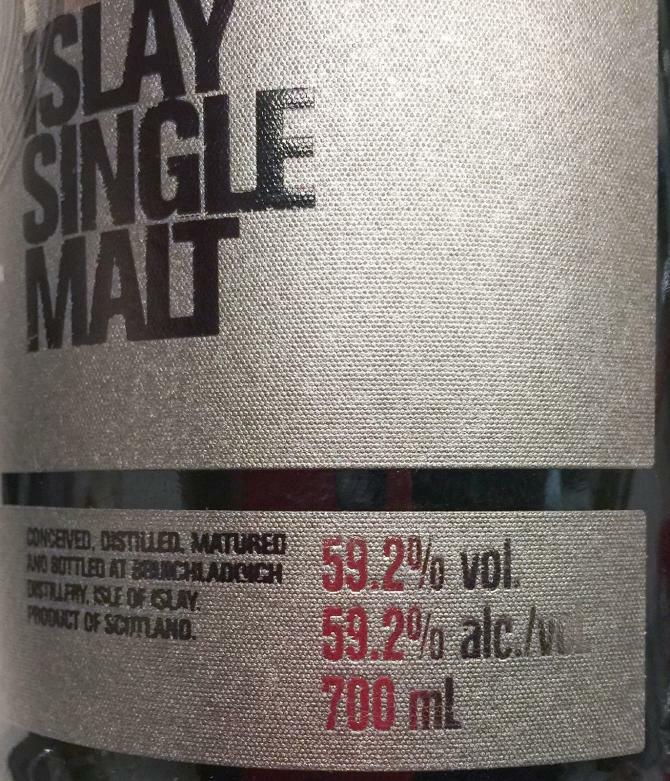 Overall: Slightly disappointed at first tasting as the single Mouton Rothschild cask at Bruichladdich distillery was one of the best whiskies I've ever tasted and I was excited to try this due to that experience. My first impression was that the sweetness and the smoke didn't integrate and it became sickly rather quickly. On my second sitting (with notes) the smoke was more dominant with the sweetness more of a lingering overtone. It may be the glassware or just the difference between different sittings but it seemed more well integrated. It combines many of the pleasures of young peated whisky with a 'dessert whisky' sweetness that adds to the complexity. Nonetheless, it's nowhere near as complex or as smooth as the single cask I tried at the distillery! 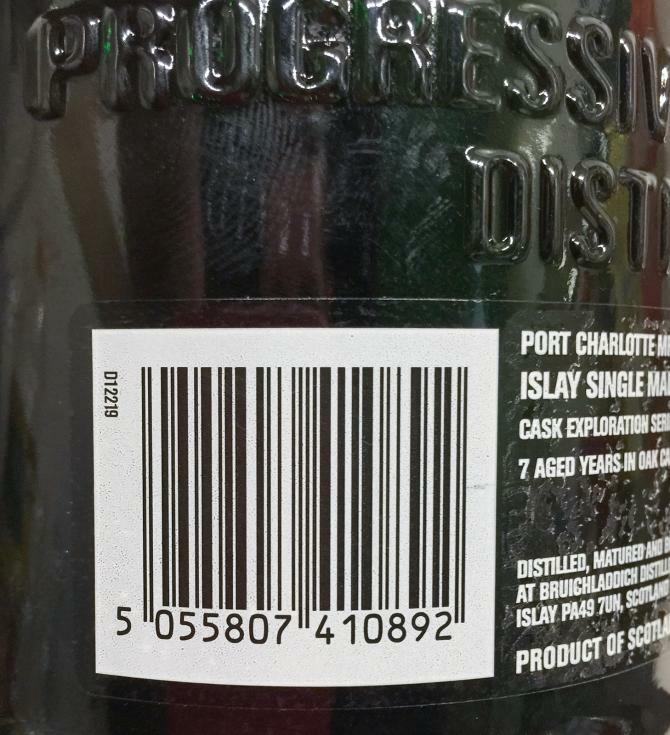 In 2018 I visited the Bruichladdich distillery and had the pleasure to try a Port Charlotte directly for a Mouton Rothschild Cask. I think this was exactly the moment when I fell in love with whisky. 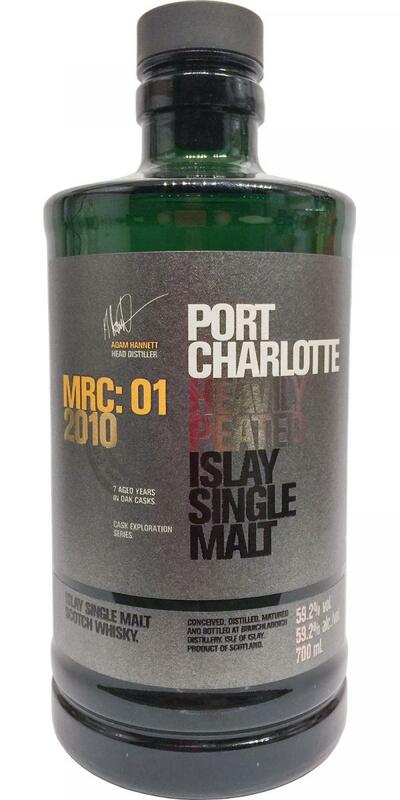 The Port Charlotte MRC:01 is not exactly the same. However, it gives you a really good impression of what magic a red wine cask can do to a heavily peated dram: turn it into a sweet, winey, fruity, fresh wonder! Adding water makes this whisky more fruity and peppery. Somewhen last year I tried to establish a rule of thumb. Never buy a whisky, that is more expensive than its year statement times 10. 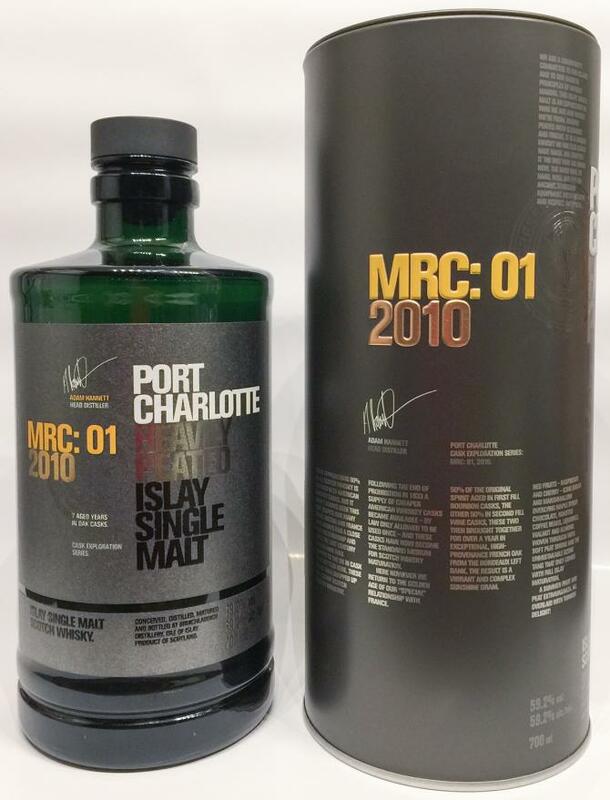 Gladly I split three of those MRC01 Bottles for a small whisky lovers group and had around 25cl to spare. After spendings some time with this "thing"... I ordered another bottle just for me. I don't exactly get what it does for me, its heavy, its peaty, its sweet, its red whiny. Works well without water, works well with water.